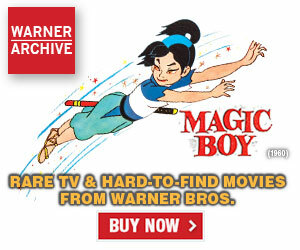 Continuing the parade of quotes from press reviews of Streamline Pictures releases. 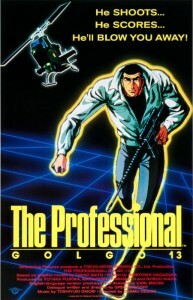 Today two more classic anime features: The Professional: Gogol 13 and Robot Carnival. 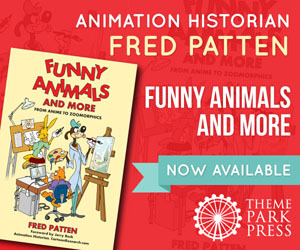 To view this series of posts in its entirety click here. Betsy Sherman, The Boston Globe, October 2, 1992, pg. ? Stephen Whitty, San Jose, CA Mercury News, November 13, 1992, pg. ? Gene Seymour, New York Newsday, November 23, 1992, pg. ? 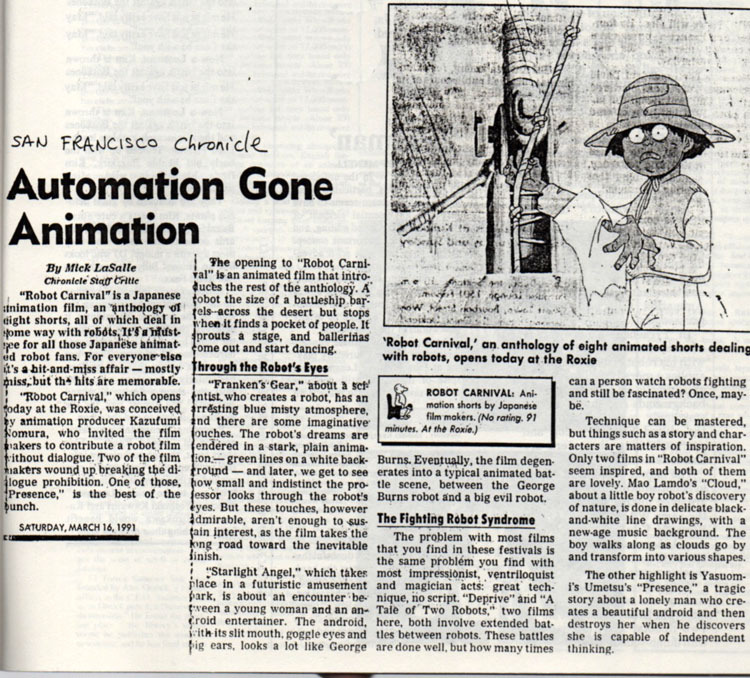 John Stanley, San Francisco Chronicle, January 20, 1993, pg. ? “A futuristic Fantasia! Japan’s answer to Heavy Metal! 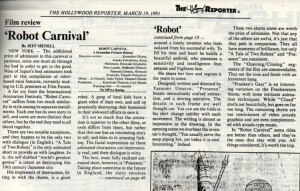 These were some of the reactions to Robot Carnival, the anthology feature coordinated by A.P.P.P. Ltd. (Another Push Pin Production Ltd.) in 1987. 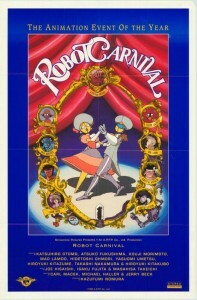 Although it had a theatrical release, Robot Carnival was primarily intended for the Japanese home video market, where it became one of the top 10 animation sellers in 1987, despite its end-of-the-year release.” “…basically Robot Carnival consists of eight musical mood pieces ranging from lively rock to poetic ballad. 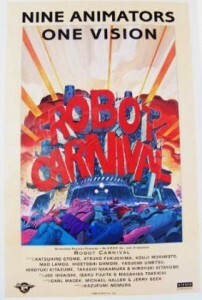 The opening and closing sequences […] tell a hilariously black comedy about what happens the day that the Robot Carnival comes to town. […] ‘Frankenstein’s Gears,’ directed by Koji Morimoto, shows the final, despairing efforts of an elderly mad scientist to bring his robot creation to life — and why he should have taken up some other hobby instead. 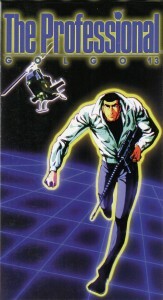 ‘Deprive’ (Hidetoshi Ohmori) is a fast-paced rock battle between a humanized robot and a handsome but cruel punk alien invader for possession of The Girl. ‘Presence’ (Yasuomi Umetsu) is a tragic romance in a future back-to-nature society in which robots are illegal. A young scientist, defying restrictions on research, builds a beautiful robot girl. However, she is programmed to love him too strongly [leaving him] no choice but to dismantle her — but she haunts him for the rest of his life. 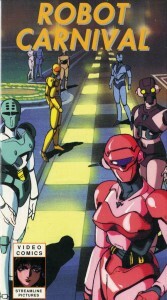 ‘Starlight Angel’ (Hiroyuki Kitazume) takes place in an amusement park of the future (which we will all recognize) with robot attendants. A teenager has a romantic disappointment and finds one of the robots to be more sympathetic than her boyfriend. Dave Gardetta, L.A. Weekly, May 10, 1991, pg. ? Jami Bernard, New York Post, March 13, 1991, pg. ? 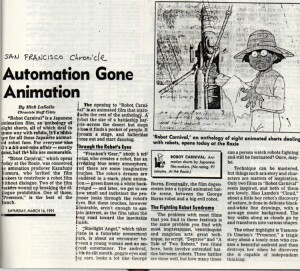 Mick LaSalle, San Francisco Chronicle, March 16, 1991, pg. ? “Stev.”, Variety, March 18, 1991, pg. ? 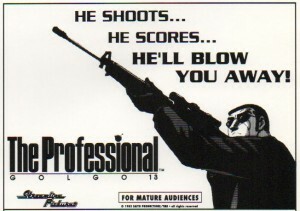 I got the impression that Andy Klein of the “Los Angeles Reader” didn’t believe that we were using the original Japanese character names in “The Professional”. But a Mafia boss named Cindy — yeah, I understand that Takao Saito hated the movie because of TMS’ script, too. U.S. government killers? 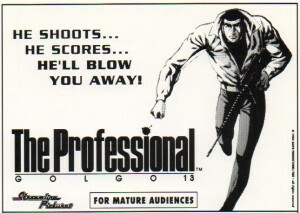 Saito always tried to make his “Golgo 13” scenarios plausible, even when he was inventing a hidden Nazi 4th Reich in Argentina, rather than a burlesque of corruption and violence. Reminded myself I enjoyed “Cloud” most of all in that. It was something ‘different’ for such a compilation. Mao Lamdo is still out there (found him on Twitter). 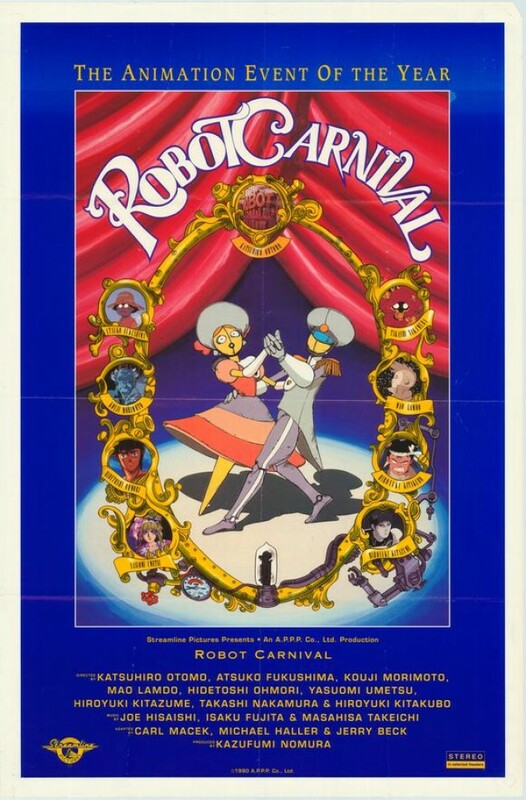 One of the nicest things about “Robot Carnival” was that the eight sequences were all so different that practically everyone had a different favorite and a different least favorite, but everyone respected all of them as being of high quality. 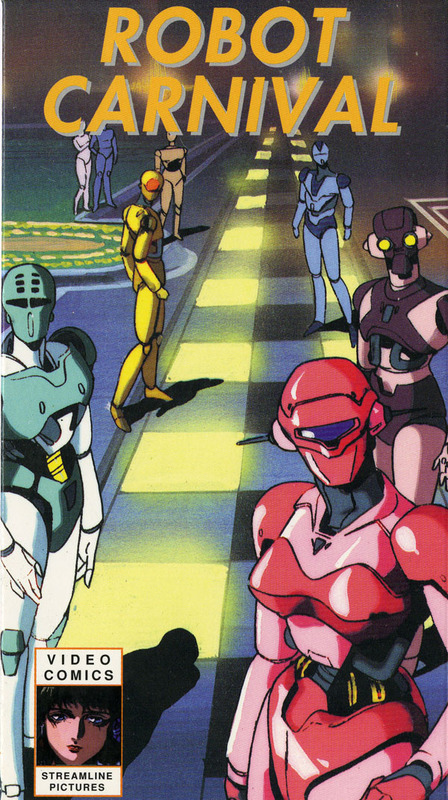 And the music was so different also, each’s music fitting it so well; but all the music was by Jo Hisashi. 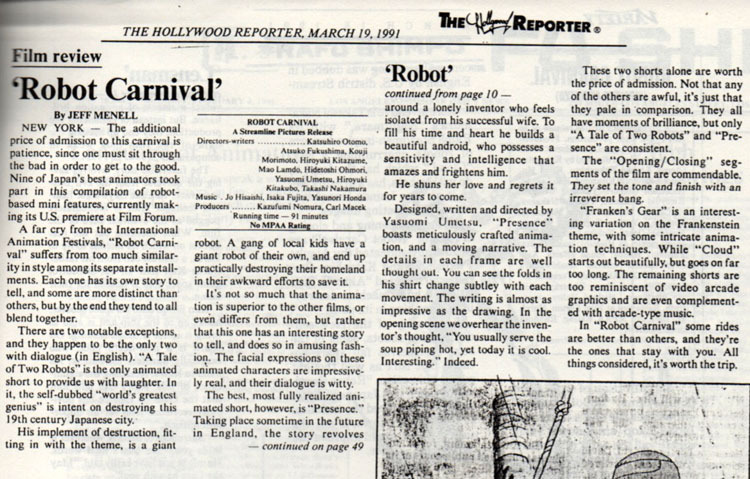 I still, after 25 years, can’t decide which I like the best — probably the opening/closing sequence by Atsuko Fukushima & Katsuhiro Otomo, and with the Robot Carnival’s march. That was a crowning moment of the whole thing. It leads us in and then exists us out. Love to see what kind of features Discotek may bring for the DVD release, as I’m sure this is worthy of a commentary track at least. Reminded I have some cels from the different segments in my collection too. I got some of the boy who alerts the village of the “ROBOT CARNIVAL” approaching.